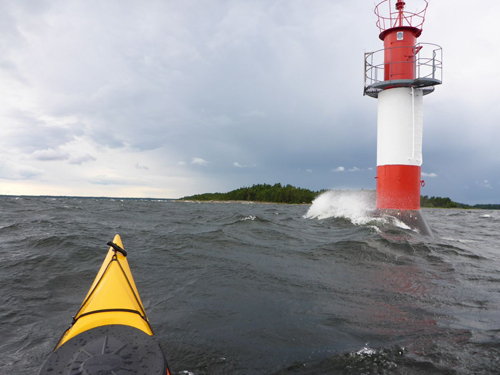 Windy conditions prove troublesome, but the team remain determined to circle island. 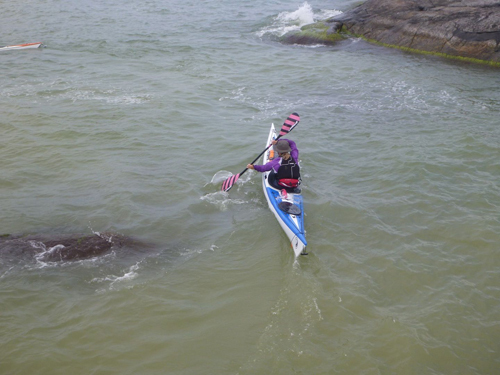 The link below is Helen’s blog about the trip so far as published by Canoe & Kayak Magazine. 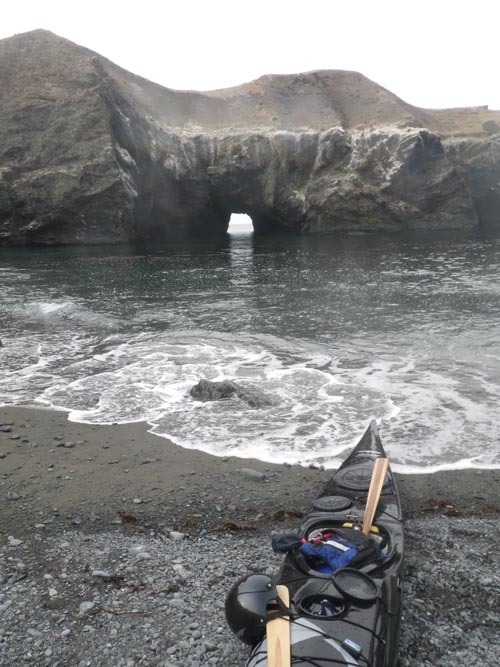 I began sea kayaking several years ago in Trinidad, California with a group of paddlers from the local club, Explore North Coast. 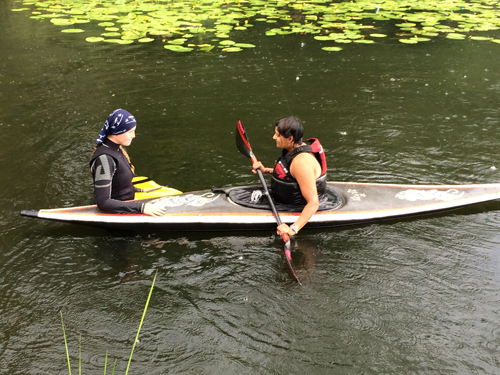 The Club organizes paddles that are always tons of fun to attend. 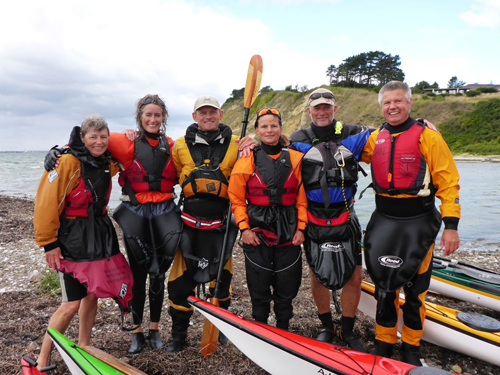 Through the Club I met “The Paddle Pals,” a group of like minded kayakers that meet every Sunday morning for what we call “Sunday Services.” For years I’d look forward to Sunday, with each week bringing new adventures. 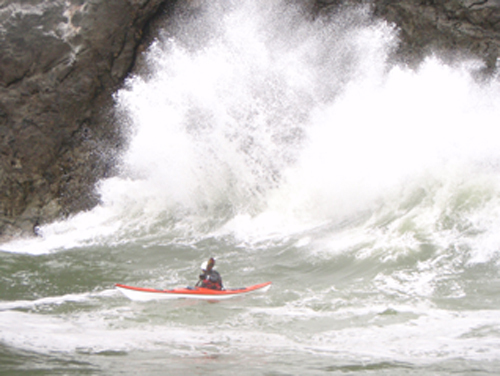 I remember launching one Sunday and paddling to the front of Trinidad Head to sit in the 28 foot swell. 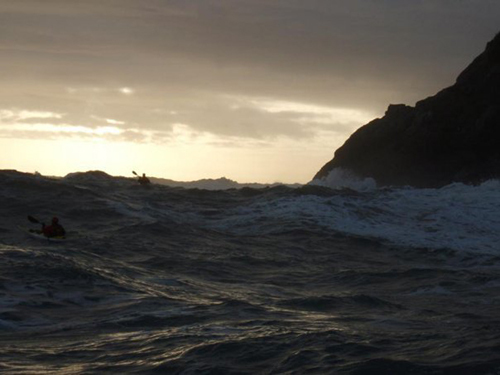 The swell would lift us to incredible heights, and at the top, a strong gust of wind that was generated from the swell itself would blow over us, causing our chests to lift as we inhaled deeply before dropping down into the trough. I remember thinking how that deep inhale filled my body with so much energy that I felt like I was going to explode. It was that same day we watched porpoises dancing in the powerful swell under a double rainbow. 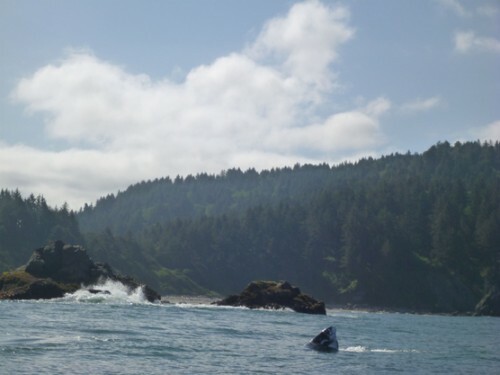 Other days we’ve been followed by whales, Stellar Sea Lions, California Sea Lions, Harbor Seals, River Otters, Harbor Porpoises, and once, a great white shark. 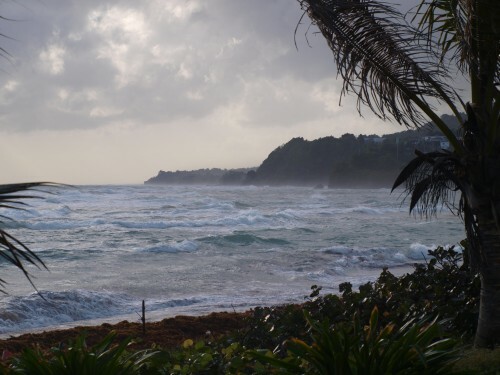 The ocean is an incredible being, and Trinidad is where I fell in love with it. 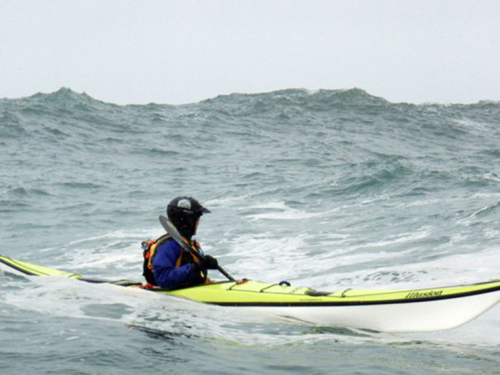 Trinidad has the option of a harbor launch that allows paddlers to get into very large swell without having to negotiate a surf zone. 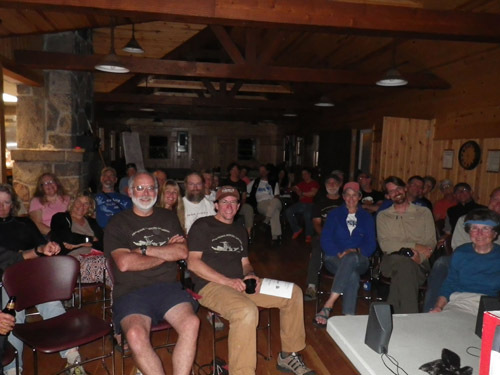 When Mark and I became, well, Mark and I, he also became a part of my business, Greenland or Bust, and I began working with him on organizing the UK Storm Gathering Symposiums, which began in Mull, Scotland in 2006. I have been co-organizing that event with Mark since 2011. 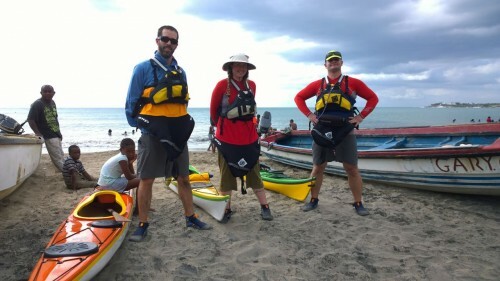 I remember the first time Mark and I paddled in Trinidad together, I told him that I thought that it was an ideal location to run a sea kayaking symposium, and he agreed. Time went on, and we began loosely organizing. About a year ago we took the plunge and decided to do it. Storm Gathering USA takes place from March 6 to 8, 2015. “Smack Wall” is a popular feature among locals. The biggest challenge for running a symposium in this location, is that it is five hours away from the nearest major city. This means that people need to travel to get here, but we guarantee that it’s worth it. 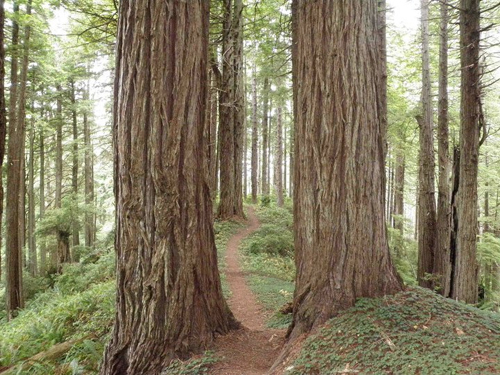 Trinidad is located in the coastal redwood forest of Humboldt County, which is home to the tallest trees on the planet. 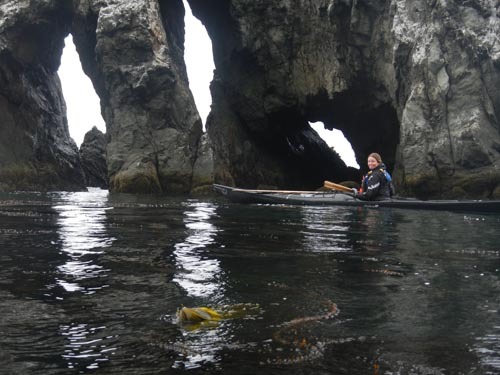 Standing under them is magical and an experience that you won’t forget, and paddling next to them is an adventure that few kayakers have had. If you’re coming from out of the area, consider bringing your non-kayaking family, because they’ll have just as much fun off the water as you do on the water. 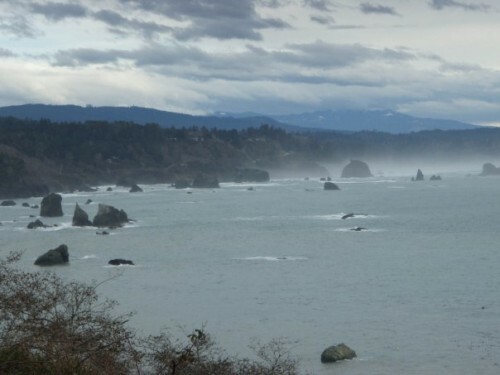 We’re a five hour drive north of San Francisco and an eight hour drive south of Portland. 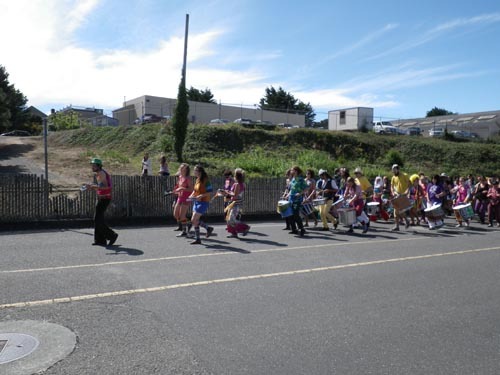 There is an airport 10 minutes from the event (Arcata/Eureka – airport code ACV) with United flights coming in and out several times a day. If you get to the airport, we can help get you to the event. 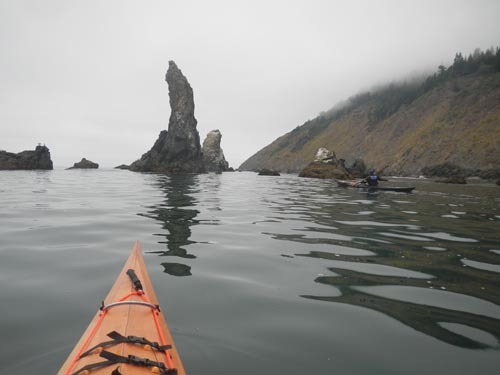 P&H will be on site with kayaks to rent, and you can choose how much you want to spend on accommodation, from a cheap campsite, to affordable cabins, to The Lost Whale Inn – a FANTASTIC B&B that is a pricier option, but well worth the money if you want to splurge. Walking amongst the redwoods is magical. The event is staged out of The Emerald Forest in Trinidad. 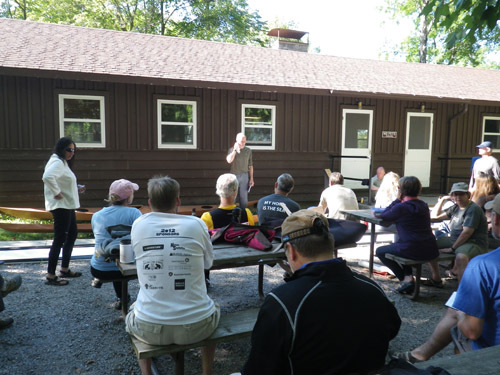 The Emerald Forest has cabins, campsites and RV sites, as well as the “Celebration Hall,” a rustic community room with a warm wood fireplace and a kitchen. 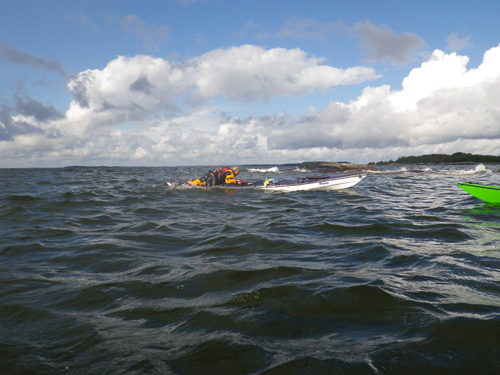 Rough Water Boat Handling is just one of many open water classes. 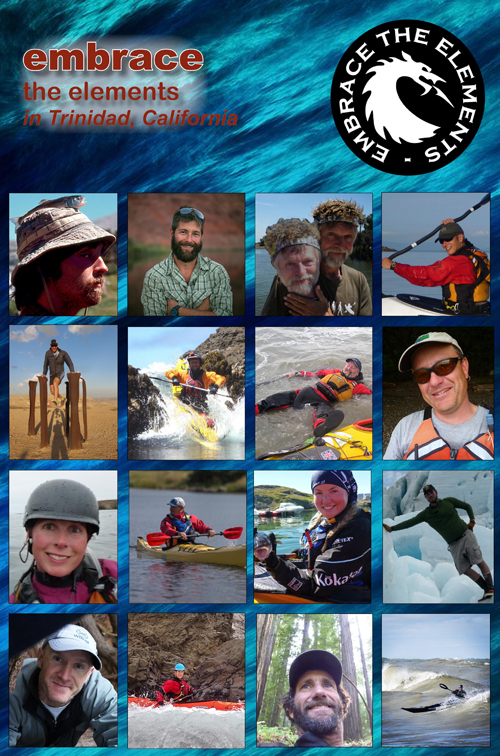 There are many fantastic instructors out there, and narrowing it down to just a few was tough. 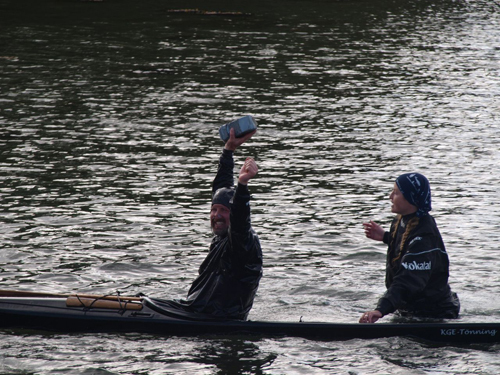 The group that we came up with are all highly qualified paddlers and coaches, but more importantly they’re wonderful people who always put their students at the top of the learning experience. We have asked each coach what they want to teach, which means that when you take a class with them, you know it’s something that they not only excel in, but love teaching as well. Three levels of rock gardening classes are offered. 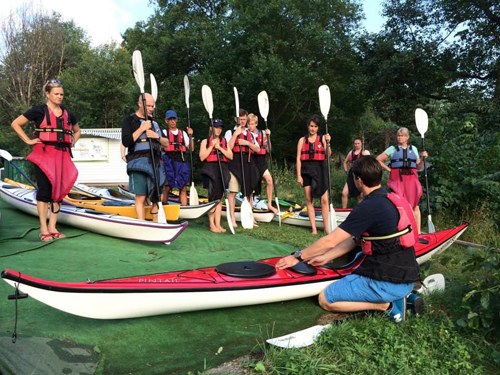 The classes we’re offering are designed for three levels of paddlers; advanced-beginner, intermediate and advanced-intermediate/advanced. Participants are asked when they register to assess their skill level and pick the classes that are right for them. 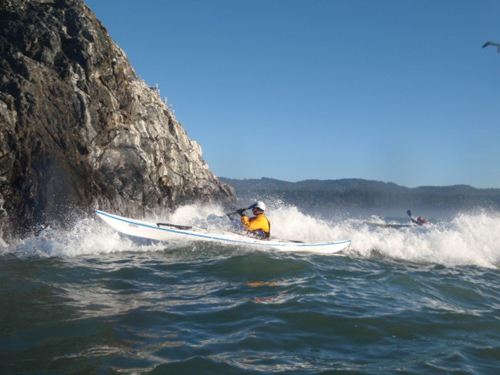 Among those classes, we’re offering various rock gardening, surf, rolling and paddling technique classes, but we’re also offering specialty classes, such as Kayak Sailing and Fun with Foster. We’re handling registration a little differently than you may be used to, as we’re asking people to pick their classes, and then we’re setting the schedule. This way, if lots of people want to take the same class, we can offer multiple sessions of it at the same time. Classes with designated instructors, such as Simplifying the Roll with Helen Wilson and Fun with Foster, clearly have limited availability however. Simplifying the Roll and Combat Rolling are also offered. There will be presentations at Trinidad Town Hall on both Friday and Saturday night, with Friday night being a report from one of our coach’s recent expeditions (more details soon) and Saturday night being an entertaining evening hosted by Ben Lawry. There will also be an auction with GREAT prizes from the event’s sponsors… and FREE BEER, also provided by sponsors. Dinner is included in our “Option 1” registration packet, and although we’re still figuring out the menu, dinners will be catered by one of our local businesses. Gift certificates for registration (of any amount) are available. Please contact us at info@greenlandorbust.org for more information. Visitors to the area are often surprised by the abundant wildlife. 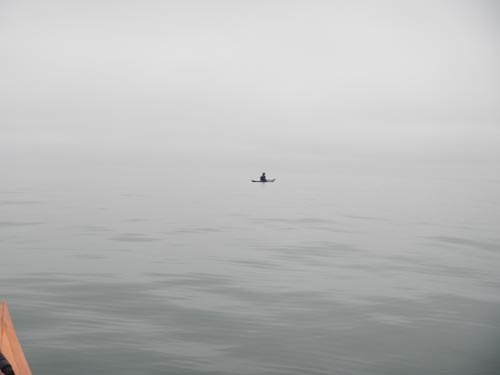 Here a whale makes an appearance. All this said, are you thinking of coming? If so, drop us a line, we’d love to hear from you and are happy to answer any questions… And a little incentive to register early. If you register from now until Christmas you’ll receive a FREE DVD (a $29.95 value), either Simplifying the Roll with Helen Wilson or Yoga for Outdoor People. Of course, if you’ve already registered you’ll receive one as well. That’s our way of saying THANK YOU for registering early. We can’t wait to welcome you to our playground. Here’s the website again: www.stormgatheringusa.wordpress.com. 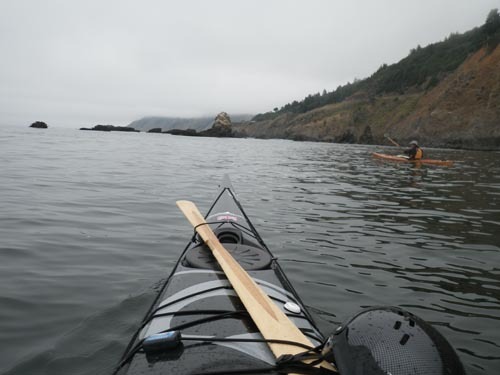 At home, in Humboldt County, it’s always possible to go paddling. Trinidad harbor provides a gentle launch, and even on a really big day (20 feet or larger), it’s possible to get out into the swell and “ride the elevator” as we like to call it. 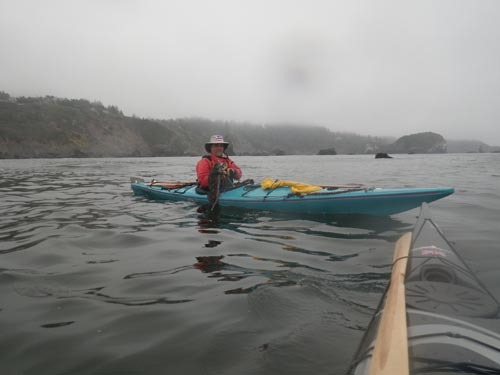 Mark and I had been traveling for four months, and my first weekend home I was excited about catching up with friends and spending some time on our local waters, no matter what the conditions. 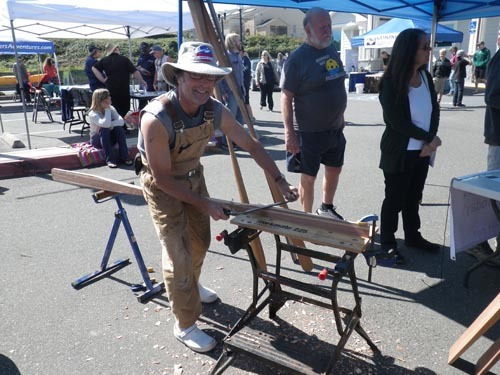 It was good to be back in time for the Humboldt Bay Paddlefest, and I rode my bike to the event, enjoying the sunshine and the smells of the redwood forest that Humboldt County is known for. Compared to other events that I’ve been to, this one is tiny, but I like that, because it meant that I could go booth to booth and catch up with everyone. Michael Morris does a paddle carving demo. 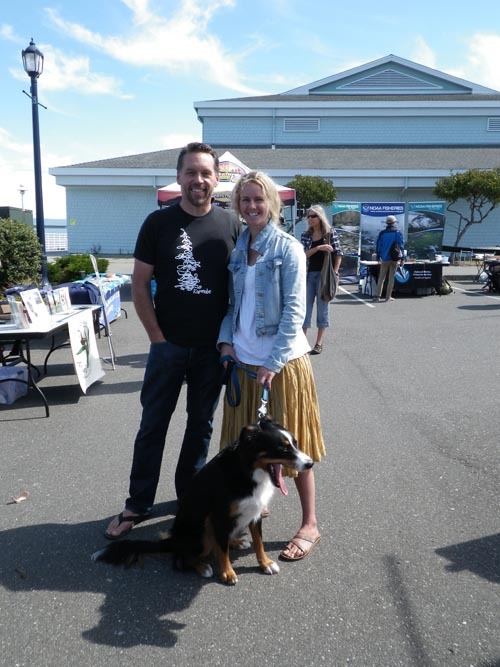 It was great to catch up with Jeff and Shannon from Kokatat (which we’re lucky enough to have as a local business). 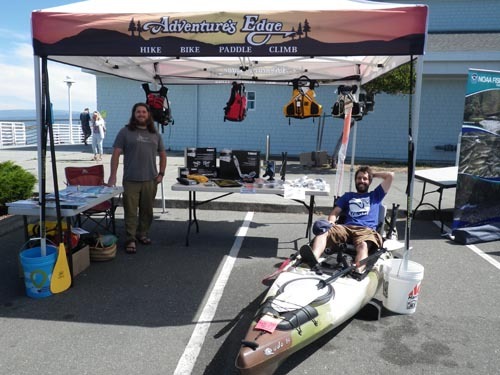 It was also great to hang out at the Adventure’s Edge booth. If you ever visit Arcata or Eureka, make sure you stop in and visit this store… bring your wallet, they have LOTS of great stuff. Mind’s Eye Manufactory was also there, with a gorgeous model of a baidarka on display. The Pride Festival also made an appearance, adding a festive feel to the day. 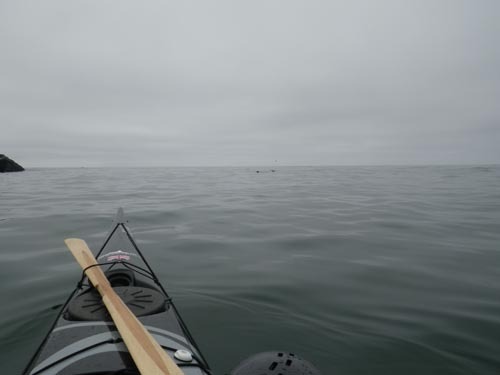 Although I opted to stay on land for most of the day, the following day Michael Morris and I decided to take advantage of the unusually calm sea state and head south to paddle some unknown territory. 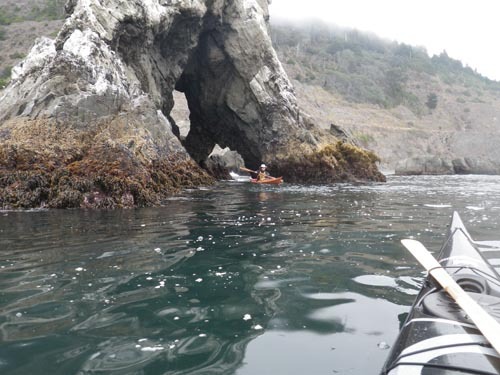 The calm seas made it a great day to explore an area that is usually very difficult to access. 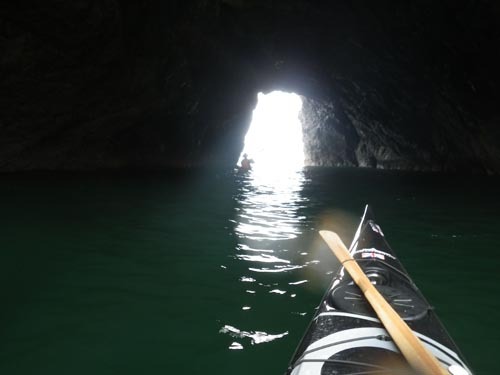 There were some stunning features to paddle around. 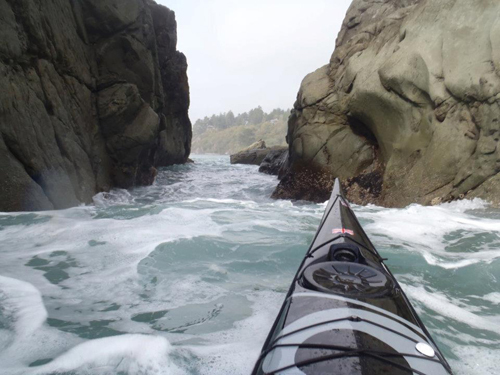 One of the great things about paddling in a new area is finding all of the hidden treasures. This part of the coast has areas with very few places to land. There were lots of archways to maneuver through. A great place to stop for a peanut butter and jelly sandwich break. On the way back we saw some river otters (if you look really close, you can see their heads poking out of the water in the distance). While we were out we started talking about what a great day it was for fishing. Fishing season in this area is closed, and we didn’t have our fishing gear with us anyway, but we decided to head to Trinidad the following day to see if anything was biting. 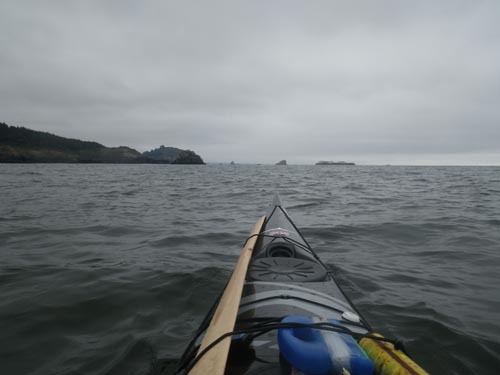 The next morning we opted to launch through the surf and head north, instead of taking the longer route from the harbor, around the head and then heading north. 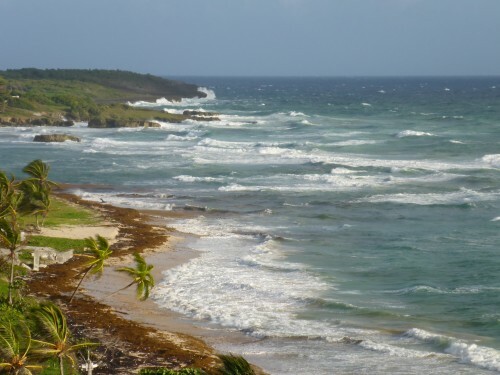 Trinidad has a tricky surf beach, even on the flattest of days, and maneuvering our way through the numerous breaks woke us up pretty quick. One ling cod and three black rockfish later, we decided to call it a day. 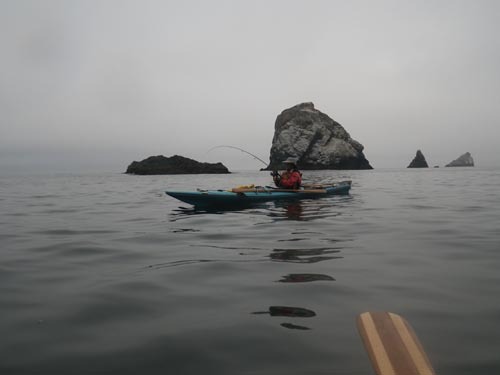 We enjoyed a nice paddle back to Trinidad Head, just as the breeze started to pick up. Pictures by Michael Morris and myself. This was my fifth year as a mentor at the Northern Lights Qajaq Society’s yearly event, The Gathering. I love this event for many reasons. First, the people are wonderful. Second, the location is perfect. And third, the event has a harpoon contest that is so much fun that it’s worth going just for that alone. This year’s guest mentors were myself and Greg Stamer. All of the local mentors were wonderful to work with and made us feel very welcome, and it was great to catch up. Throughout the four-day event, I instructed an informal rolling class, two Simplifying the Roll classes, a skin-on-frame rescue class and The Art of Teaching rolling. 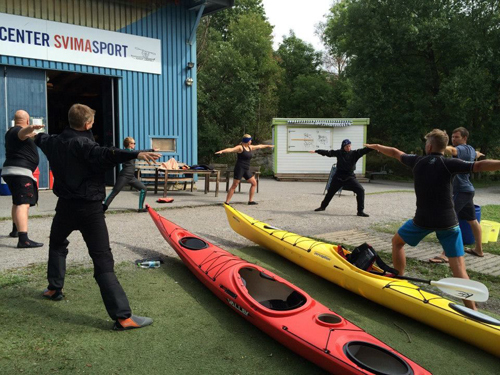 I also ran Yoga for Paddlers three mornings, and did a presentation called “South Greenland Expedition and the Greenland National Kayaking Championship.” Greg provided strokes instruction, and I had the opportunity to join in his Sunday morning class, which was very informative. 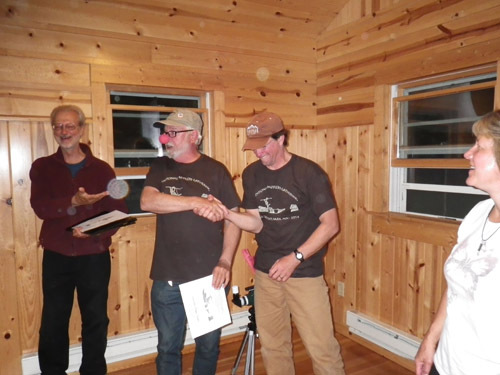 He was the Friday night presenter, with a fun slideshow on his Newfoundland circumnavigation and some races that he’s been competing in. 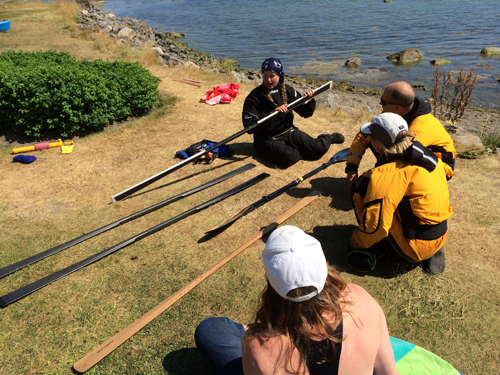 In addition to what we were teaching, other mentors were teaching everything from how to throw a harpoon, to on-land classes on qajaq construction. The people are what really make this event special, and Michelle, Jeff and Tony did a wonderful job of putting it all together. Thanks for having me there again. 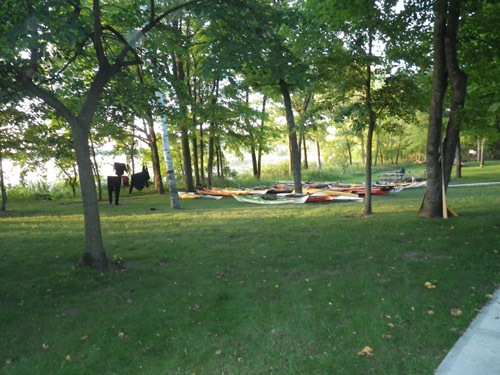 At the beginning of an event it’s always fun to watch the kayaks appear. There were some very pretty qajaqs and baidarkas at the event. We had the perfect weather for rolling instruction. Note the harpoon thrower in the background. 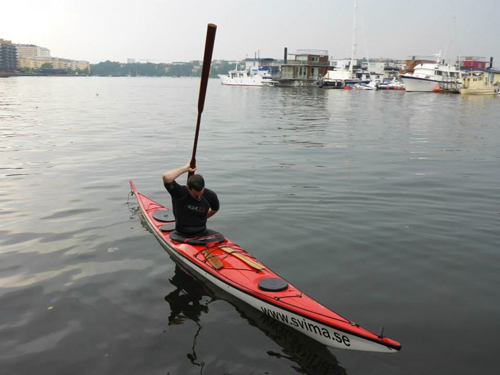 Greg’s strokes classes included both on-land and on-water instruction. 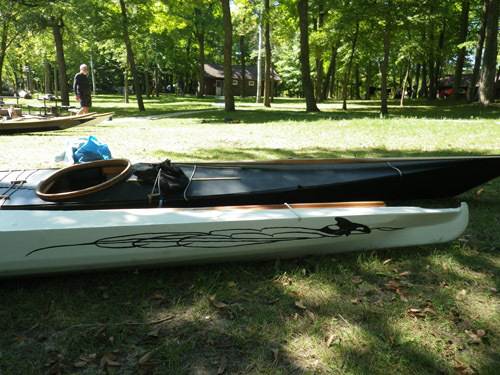 Nick talks about his kayak design, the Shrike. 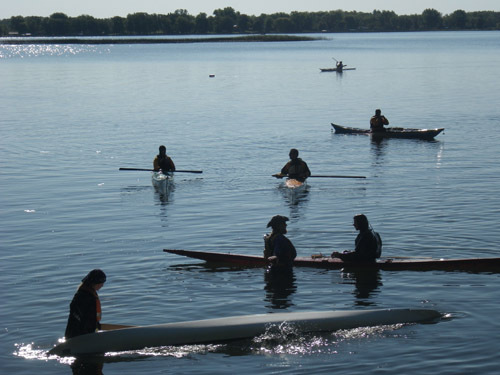 Yoga for Paddlers is a great way to start the day. 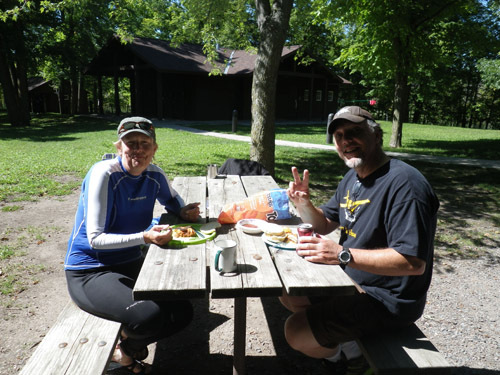 Organizers Michelle and Jeff take a time out for lunch. 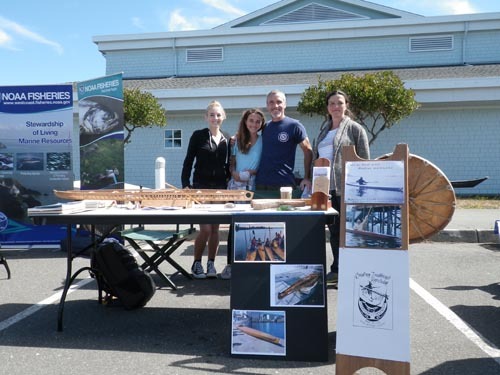 There are many ways to entice participants to buy raffle tickets. 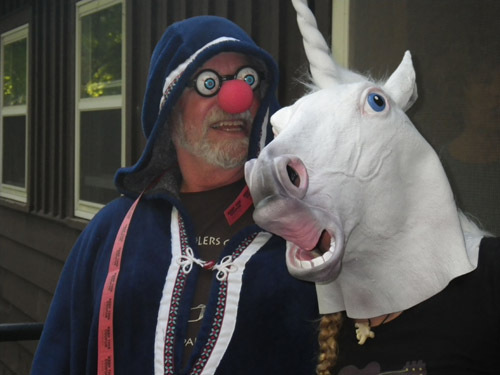 The harpoon contest awards ceremony was very entertaining. Last year’s harpoon winner presents this year’s harpoon winner with his award. Congrats Kirt! 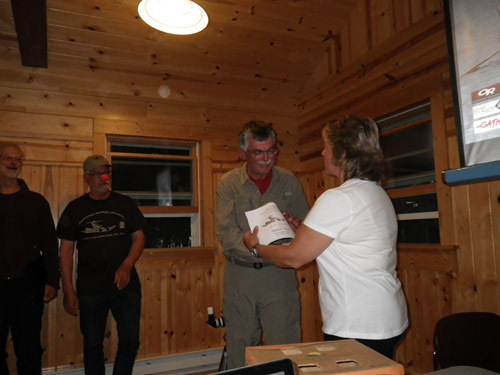 Participants enjoyed an evening of entertainment, which included a lively silent auction. Enjoying the sunrise each morning was well worth getting up early for. 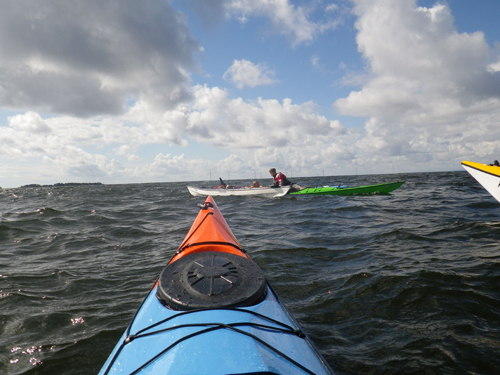 After leaving Karlstad, Sweden, Mark and I made our way to Denmark for classes in two locations, Hundested and Svendborg. In Hundested I taught three sessions of Simplifying the Roll, while Mark taught three sessions of Simplifying the Stroke, with an emphasis on moving through, and using, wind and swell. Thanks to Jacob and Mette for hosting us! 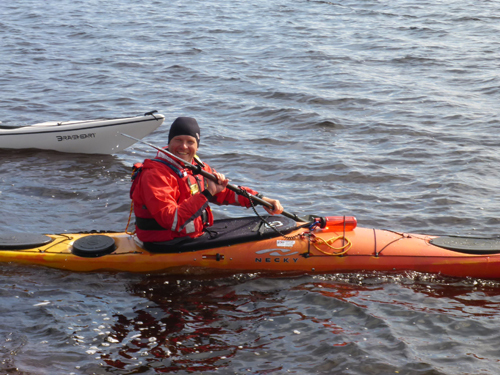 Jacob is always smiling when he’s in his kayak. Thiim provides a Danish translation while Mark talked about the importance of body rotation. The wind provided a wonderful learning environment. The strokes class was tired but happy after all of that wind excitement. Saturday night’s dinner consisted of barbecued lamb for the meat eaters. After the weekend of classes we stuck around for a couple of extra days to explore the area. 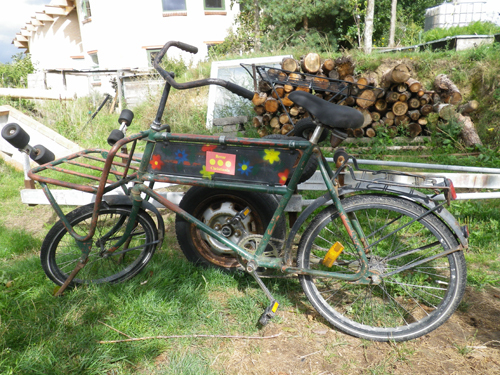 One of the places that we visited was Økosamfundet Dyssekilde, one of the oldest eco-villages in Denmark. Here a somewhat groovy bike waits for its rider. 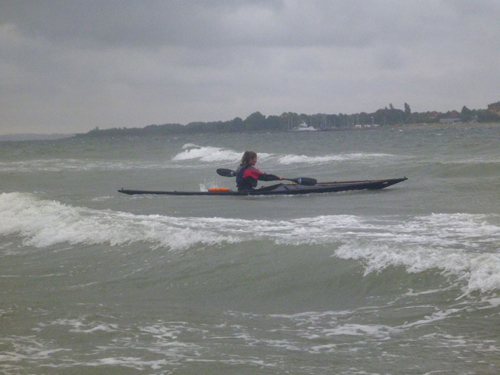 After leaving Hundested we made our way to Svendborg, also in Denmark, where we ran classes for Kajak Inn. Throughout the two days we ran two sessions of Simplifying the Roll and a Qajaq Immersion Day. Thanks to Pernille and Jacob for hosting us! 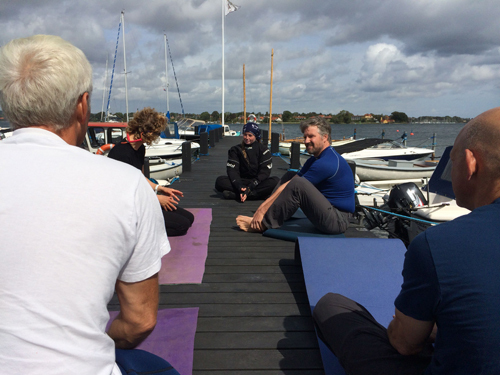 Yoga for Paddlers on the dock was a nice start to both days. David pulls off a brick roll. 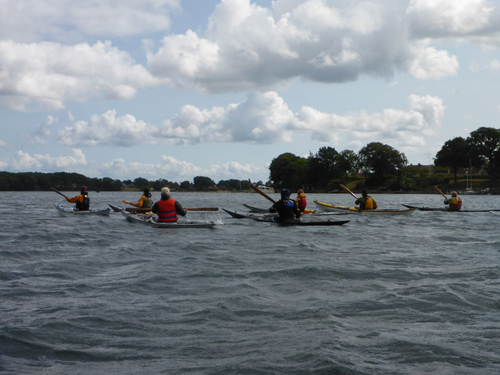 The Qajaq Immersion Day included strokes instruction, and the group enjoyed a paddle around several of Svendborg’s scenic islands. 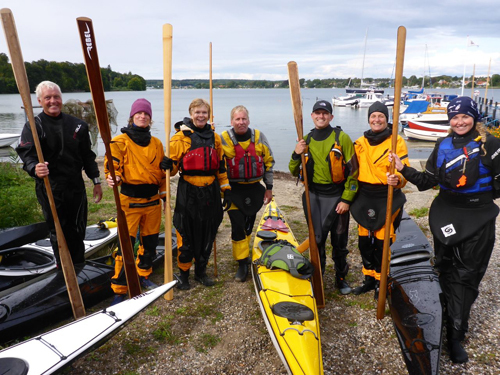 A happy group of paddlers and their sticks. 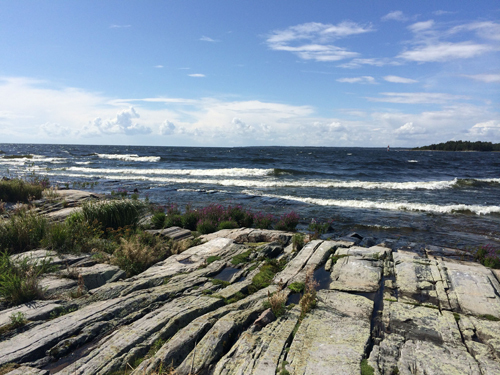 After leaving Nynashamn, our next three stops were in Stockholm, Mora and Karlstad. 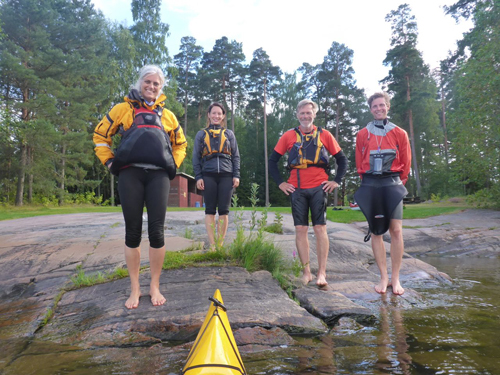 All three locations are in Sweden, and in all three we were teaching on lakes. 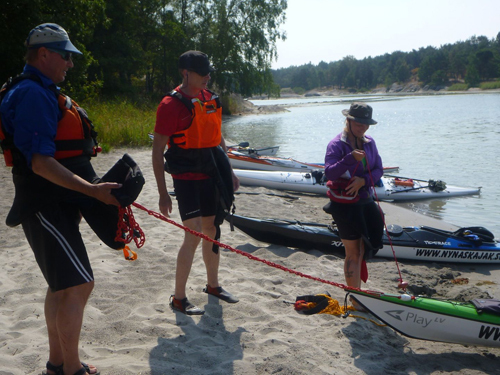 We started at Svima Sport in Stockholm. Throughout our time there I taught five sessions of Simplifying the Roll, and Mark taught four sessions of Simplifying the Stroke. 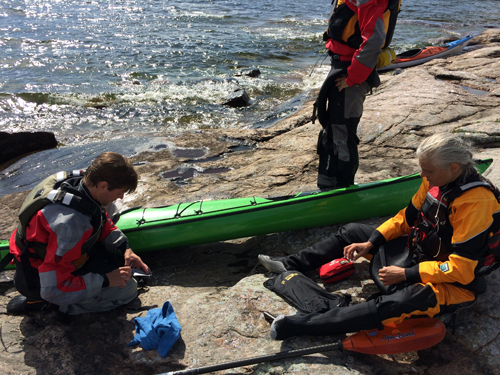 We also helped Daniel, owner of Svima, with a class for beginners, which includes a nine kilometer tour of Stockholm by kayak. Special thanks to Daniel for hosting us. 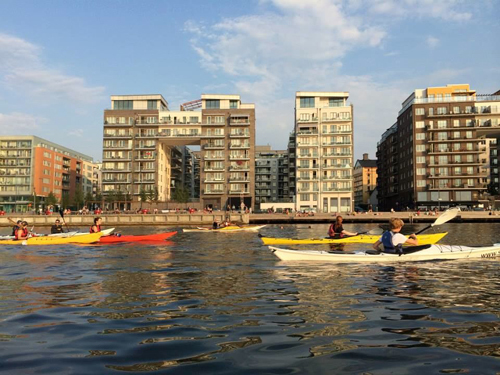 Stockholm is a gorgeous city to explore by kayak. 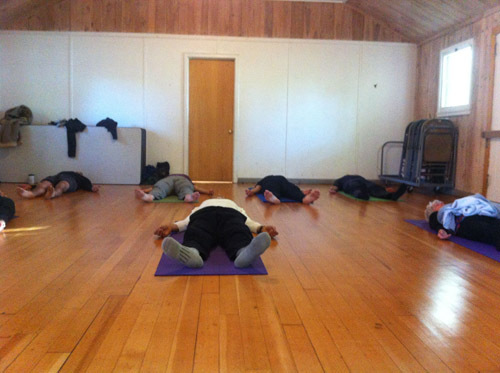 All of the rolling classes started with Yoga for Paddlers. People worked on all kinds of rolls. Lotta is learning a hand roll. Daniel learned the Spine Roll. 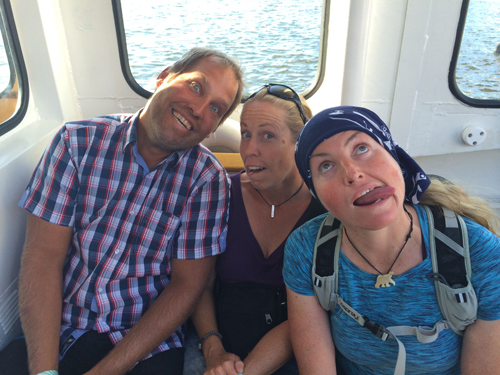 After the classes in Stockholm, we made our way west, heading through Sweden to Mora. 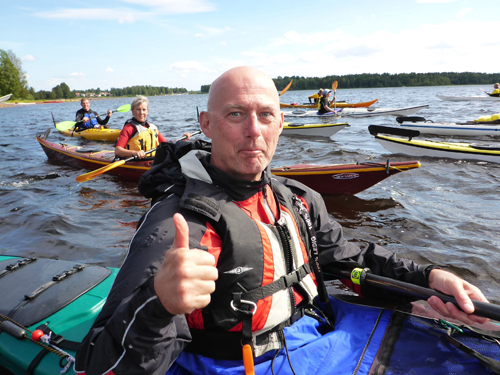 Mora is a wonderful place with friendly people, lots to see and a gorgeous lake. 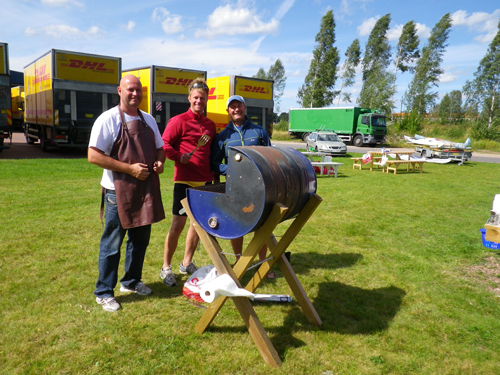 Magnus and Anders had organized a two-day event, which was very popular and very successful. 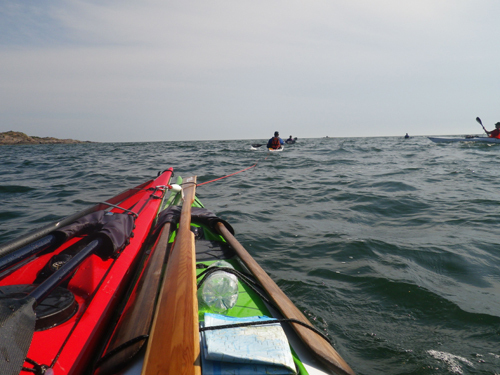 I ran three sessions of Simplifying the Roll, while Mark ran three sessions of Simplifying the Stroke. Sunday afternoon was informal instruction, and instructors were available to help people clean up the techniques that they’d been working on throughout the weekend. Special thanks to Magnus and Anders for hosting us. Both days of the event started with Yoga for Paddlers. 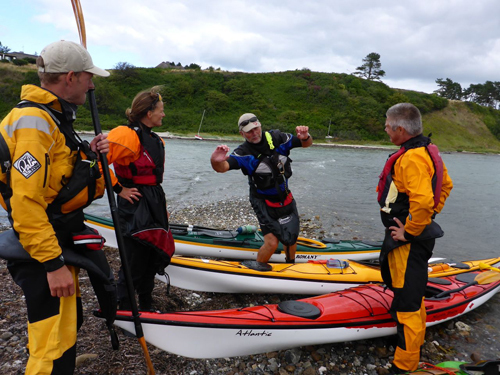 Mark talks about posture while paddling. 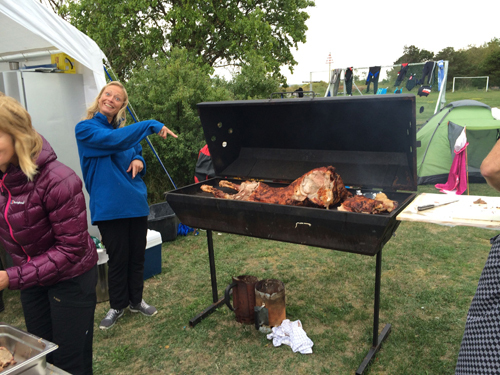 Throughout the weekend we enjoyed a couple of tasty barbecues. Anders seemed happy with how the event turned out. Martin gave the weekend a thumbs up. We had a wonderful time working with everyone. Thanks for coming out! 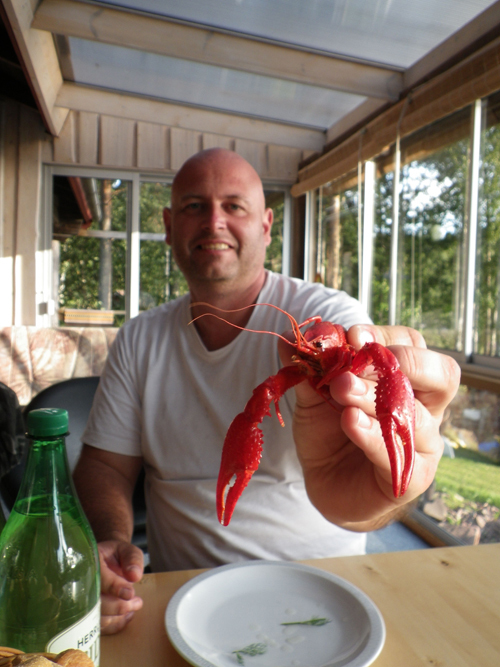 After the event Magnus hosted a crayfish dinner. 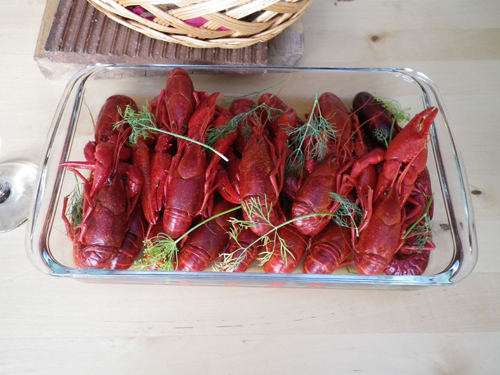 Crayfish is a delicacy that is celebrated during the month of August in Sweden. And he showed us the correct way to enjoy these tasty freshwater crustaceans. 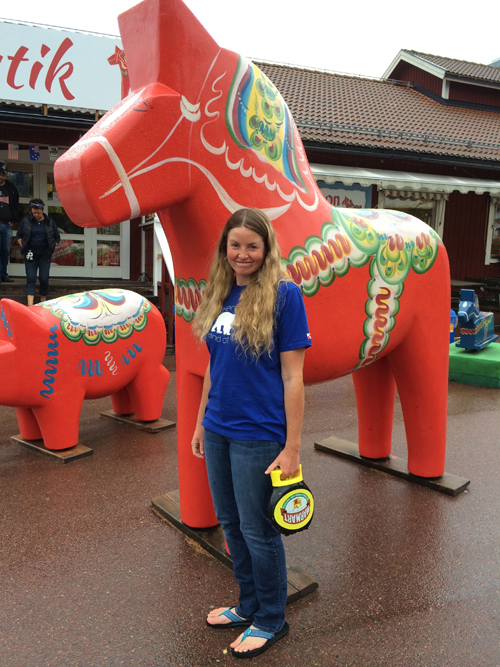 Mora is also the home to the Dala Horse, and we stopped by the factory for a quick visit. 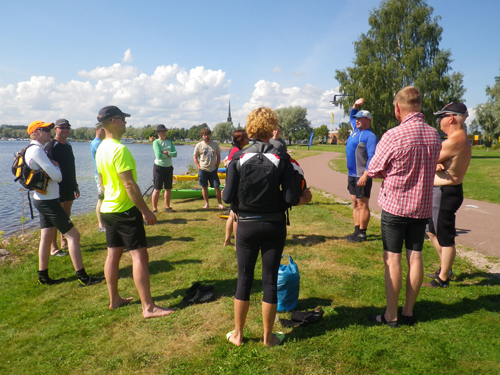 Then we headed to Karlstad to run classes for Vanerkajak on Lake Vanern, the largest lake in Sweden. 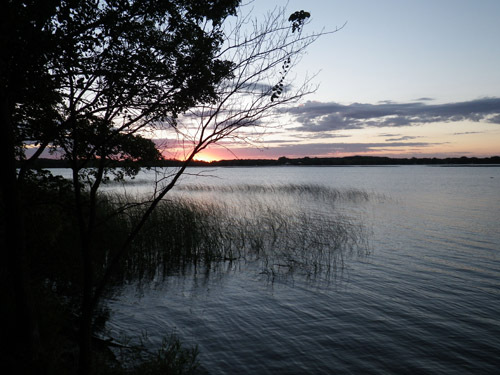 Although the lake is freshwater, its size gives it many of the same features as the sea. Throughout the three days we ran two sessions of Simplifying the Roll and a two-day BCU 3 Star Training. Thanks to Bjorn for hosting us. During the rolling classes we worked on everything from the Balance Brace to the Storm Roll. 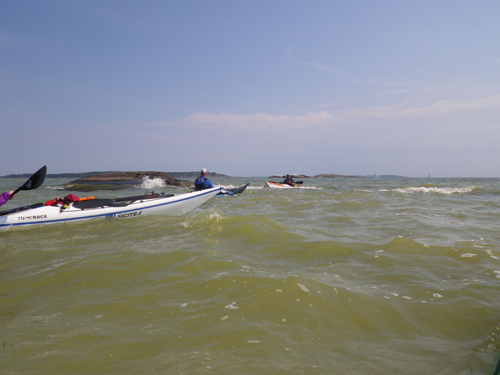 Wind provided swell, breaking waves and a fantastic learning environment for the BCU 3 Star Training. More wind to play in. 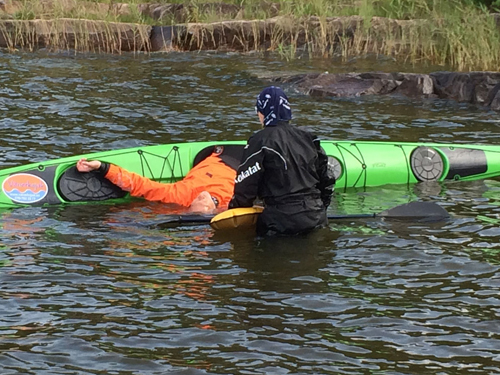 During the BCU 3 Star Training we spent some time working on both self and assisted rescues. 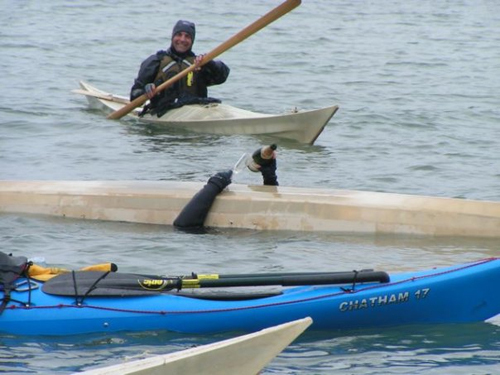 Here three swimmers help each other get back into their kayaks. 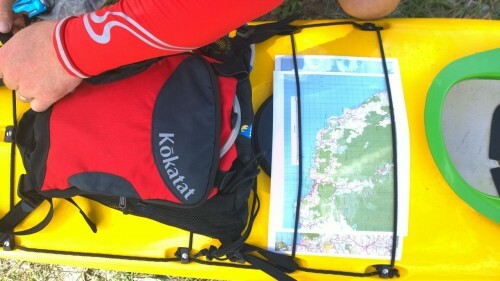 Topics such as repairing kayaks were also covered. 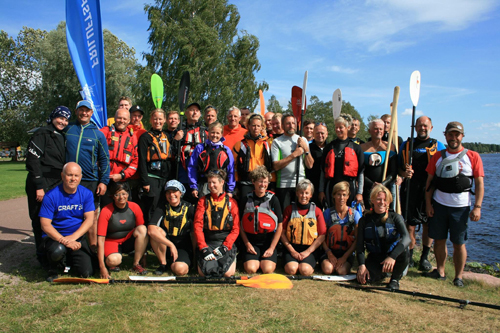 The candidates were tired but happy at the end of the training. 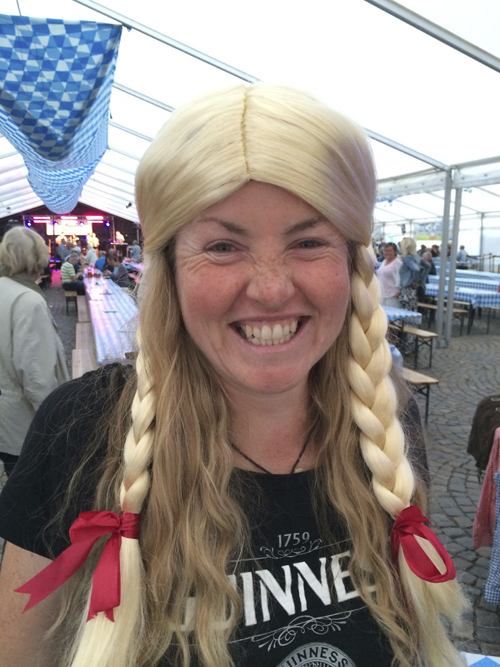 Oktoberfest was taking place in the town center, so we stopped in to join in the celebration. 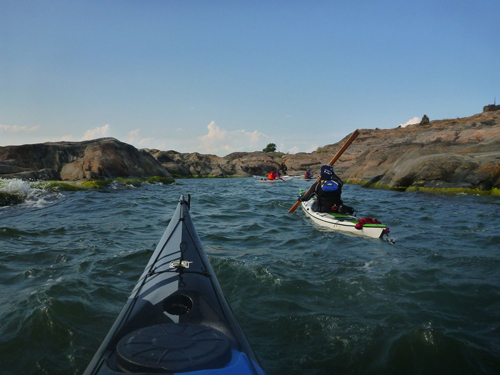 After our South Greenland Expedition, Mark and I made our way to Nynas Kajak and Upplevelse, located in Nynashamn, Sweden. One of the things that we love about Nynas Kajak is the people. The owners, Pelle and Carina, are wonderful, and over the years have become our good friends. We instructed there for nine days and had a wonderful time. 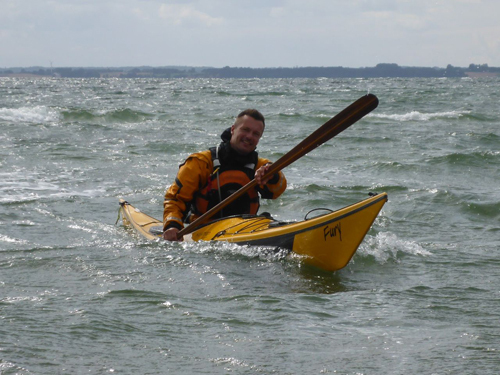 During the nine days I ran six days of Simplifying the Roll and Traditional Skills, and Mark ran BCU Coastal Navigation and Tidal Planning, a two-day BCU 4 Star Training, and he helped Pelle with a EPP Yellow course. 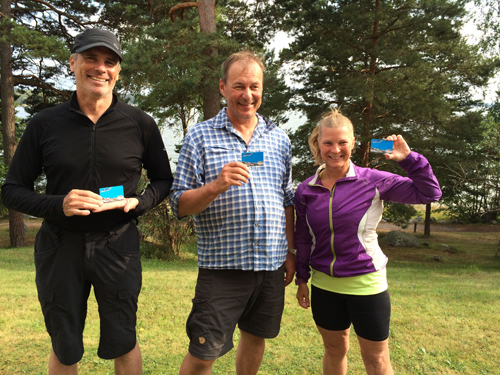 I also ran eight sessions of Yoga for Outdoor People, and Pelle, Mark and I ran a three-day BCU 3 Star Training and Assessment combined with an EPP Blue Training and Assessment. Of course, evenings were spent catching up with Pelle and Carina, and we all took a day off to ride the roller coasters at Grona Lund in Stockholm. 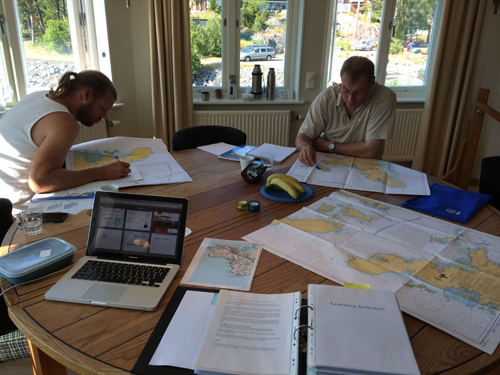 Participants work hard during the BCU Coastal Navigation and Tidal Planning class. Of course charts are also good when planning a real trip. 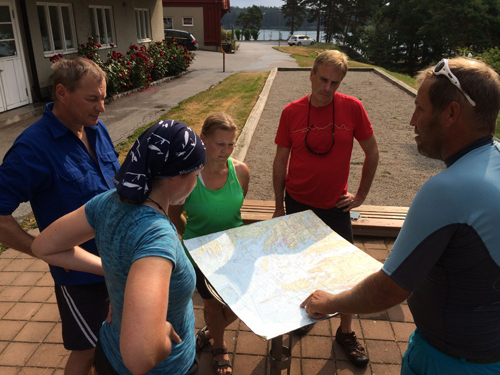 Here the BCU 3 Star and EPP Blue candidates look at the proposed route for their three day training and assessment. 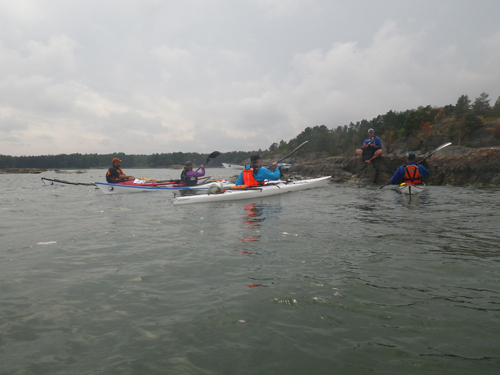 The seas were mostly calm, but wash rocks created a little chop to practice turning strokes in. Candidates learn the dos and don’t of towing. 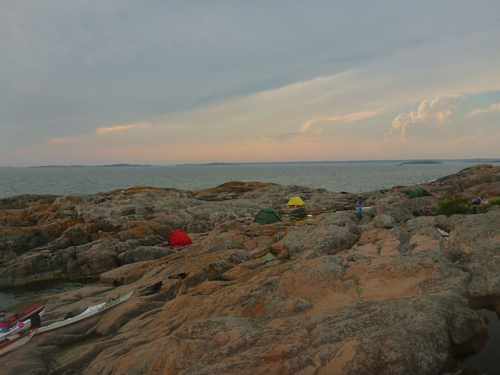 Our campsite was a little tricky to get to, and included a rocky landing and a short climb with fully loaded kayaks. The campsite was well worth it though. 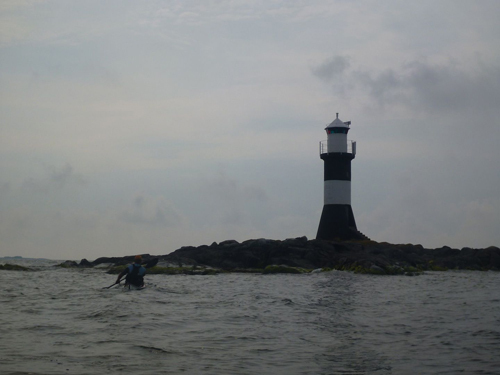 The following morning we took advantage of the calm sea state and made our way to this lighthouse, which is usually much trickier to get to. On assessment day Mark climbed a rock to watch the candidates demonstrate maneuvering strokes. Congratulations to the successful candidates. 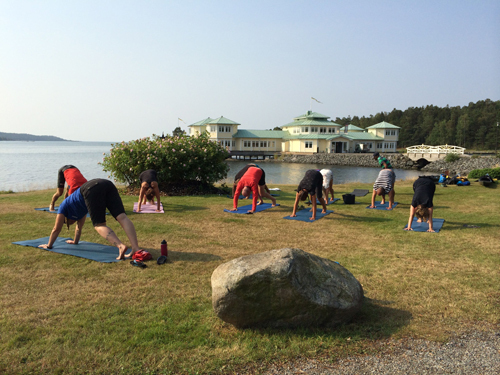 I ran Yoga for Paddlers for the kayakers and guests at the hotel. 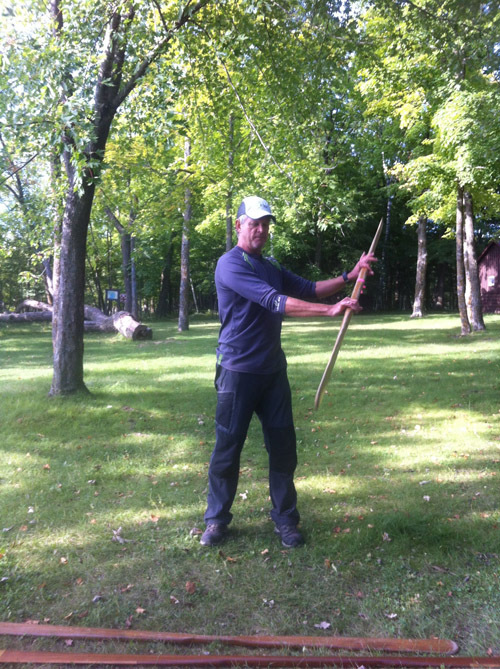 During the Traditional Skills class we talked about many things, including the features of a Greenland paddle. A happy group of successful EPP Yellow candidates. 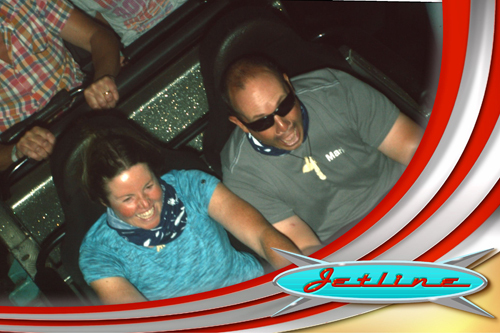 There’s no better way to spend a day off than riding a roller coaster or two. And of course, spending the day with friends. Thanks Pelle and Carina!